If you hear music while admiring the sunset, do not be surprised! After the islands of Syros and Tinos, it’s Santorini’s turn! 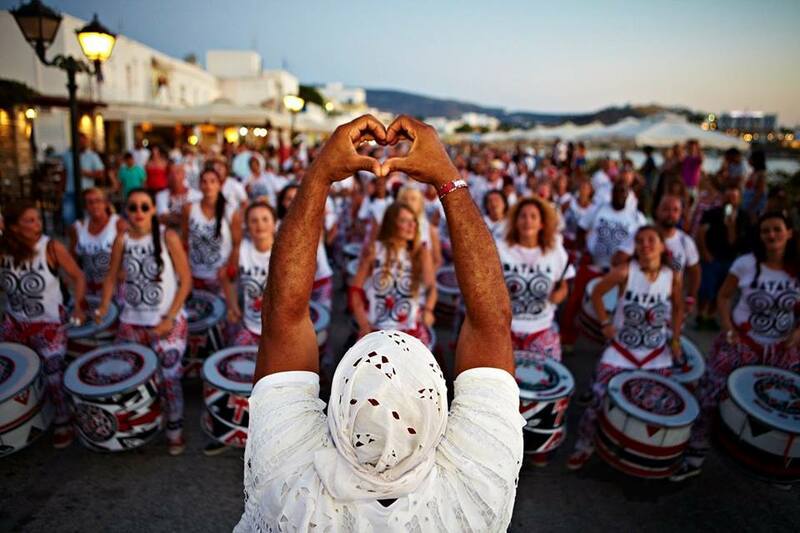 Batala Atenas, the most famous percussion team in Greece, will walk on the caldera in Imerovigli at 19.00 to welcome the sunset. Batala Atenas will be accompanied by a wind team, as part of the "1st Cyclades Jazz Festival", in order to celebrate 100 years of Jazz. A little later, at 21.00, a presentation of local products will take place at "Selene" restaurant in Pyrgos, as the music and the local products are considered an integral part of our islands!